In light of the 7-year SSD Nodes anniversary coming up in a matter of weeks, our friend and colleague Joe Dager sat down with Matt Connor, the founder and CEO of SSD Nodes (and its parent company, Strasmore) to talk about surviving to the seven year mark, whether the “startup” moniker still makes sense, how to empower people to do what they do best, and what the next seven years might hold. For the audio inclined, we have a recording of the full interview just below, or if text is more your thing, jump down for a full text transcript. Joe Dager: Welcome everyone! This is Joe Dager, the host of the podcast. With me today is Matt Connor. He is the founder of SSD Nodes and has extensive experience in leadership and DevOps, having been a founder of several companies and holding positions at organizations like Zeeto, BrightScope, Chapman University, and others. Matt, I want to thank you for joining me and big congratulations here for SSD Nodes celebrating it’s 7th anniversary. Matt Connor: Thank you, appreciate it. It’s been a long 7 years. But it goes by quickly, and then you look back and realize so much has happened. Joe Dager: Michael Gerber I think was the person that said, “You make it seven years, and the odds start favoring the startup.” Maybe the idea is you get to drop the “startup” name after seven. Does it feel that way? Matt Connor: In some ways yes, in some ways no, I mean, searching for the business model we kind of chose one that already existed, which was the subscription model. I still think we’re a startup in so many ways just because we’re growing, we’re learning, we’re trying new things. It’s never the same, so it’s not like moving into a bureaucratic older business where you’re just doing the same thing over and over. It feels like we’re doing something new every day, and I think that still deserves the startup name. I still think we’re a startup in so many ways just because we’re growing, we’re learning, we’re trying new things. Joe Dager: So you keep that mindset! Do you ever feel like you’ve got a sustainable business? Matt Connor: I think so. I think that’s really important to have from the beginning because if it’s unsustainable, you don’t stay in business for long, which is maybe what Gerber was talking about with the seven years. Joe Dager: Seven years! Are you doing anything special? Anything for your customers? Matt Connor: We are! In a couple of weeks, we are going to be doing a 7-year anniversary sale. We’re going to be unleashing some incredibly discounted 3-year plans. We found that if we offer people a large enough discount, they’ll commit to a longer term in advance when it actually ends up being a significant discount. Joe Dager: Well, that sounds interesting that people would even think that a somewhat young company would really look at the fact that I’ll go three, seven years. Does that strike you odd? Have you tested it that people are willing to do it? Matt Connor: It struck me pretty amazingly that people would go and visit the first time and purchase a 3-year plan. I mean, we do offer a 14-day refund, and after that, we’ll give you prorated credit, but yeah, it does strike me as kind of amazing. But it is 90% cheaper than the competition, so I think when you look at the numbers and the risk you’ll be spending like 3 or 4 months at the competition that equals the same as 3 years with us. Joe Dager: One of the things that strikes me about SSD Nodes and yourself was that you bootstrapped the company. That seems not the normal way a startup works anymore. We’re always out there pitching and looking for VC funding and everything. Can you go back seven years and paint that landscape for me a little bit? First of all, why did you bootstrap? Wondering if anyone would give you money? Matt Connor: I think it was mostly because it was unconventional at the time, trying something new. I wanted to try it without any strings attached, and once you get investor money, then you can’t do what’s right for the customer and what’s right for the business. The investor has to make a really large return for the numbers to work out and in a very short amount of time, 10 years, seven years or so. They’d be looking at a return in three more years if we got VC funding. But it just gives us more freedom to give the customer what they want and to provide a good service. Also, constraints force you to get more creative versus just having a really large bank account that you can spend it on whatever you want. Joe Dager: You bootstrapped, one of the things I always tell people when I talk to them about a startup, I tell them don’t quit your day-job. Did you quit your day job? Did you go all in? Matt Connor: I did. I mean, not immediately of course, because you have to make sure all the numbers work, and you have to grow at a sustainable pace and all that, but yes, now I am. Joe Dager: I didn’t mention this, to begin with, but what is SSD Nodes? What are you doing? Matt Connor: We offer cloud servers. I should have said this in the beginning, but we offer cloud servers to small businesses, entrepreneurs, developers, students and you get resources in a world-class data center, and you can do whatever you want with it. Some people have gaming servers, some people host blogs, some people host personal development servers, and just whatever you want, you can do it. In the beginning, we kind of focused just on larger companies and established businesses. We grew really slowly that way but we were able to learn a lot from these customers, get to know them really well. Then, there was a pivot point where we went downmarket towards people that weren’t as established yet. We were offering something significantly cheaper than the competition and ended up getting some really large growth there, so that was kind of the pivot point and the milestone right there. And then expanding with multiple locations and hiring and stuff like that were other milestones. Some people have gaming servers, some people host blogs, some people host personal development servers, and just whatever you want, you can do it. Joe Dager: What’s the difference between you and Amazon AWS or Google Drive, I mean, what’s the difference between the two platforms? Matt Connor: Amazon is sort of like a utility. Their billing model’s completely different; they’re per second now. Their tooling is very different from what we offer. Their offer is very different from whom we’re targeting; we’re targeting people who want a really cheap server somewhere and are willing to use it to build what they want. Amazon’s a very different use-case. If you need to spin up thousands and thousands of instances within a couple seconds, that’s what they’re good for. Google Drive is a different layer. They’re more just storage and an API there; it’s very different from what we offer. 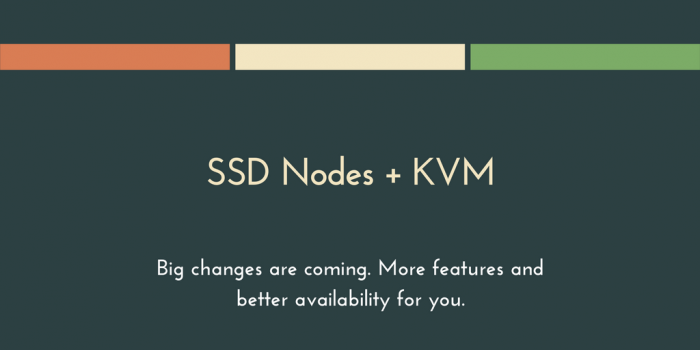 Joe Dager: SSD Nodes means you have SSD servers, right? Matt Connor: Exactly. And we were actually one of the first providers to offer SSDs at the time. It was back when they were just announced, in 2011. They were extremely expensive, and I think Amazon offered them in 2012-2013. Joe Dager: Over 50% of businesses fail in the first 5 years… you went ahead and created a business model and went against some pretty significant competition and other people that made something similar but offered a whole host of other services. You seem pretty streamlined in what you’re offering. Why do you think that works? Matt Connor: I think because the business model is really simple. I think that’s the first problem, people try to over-complicate things but if you go the really simple business model—monthly, annually and now three years—that simplifies things, lets you focus on what’s important, which is getting customers and offering them services that they want to use and that they’re willing to pay and a price they are willing to pay. I think that those are really kind of the key features. 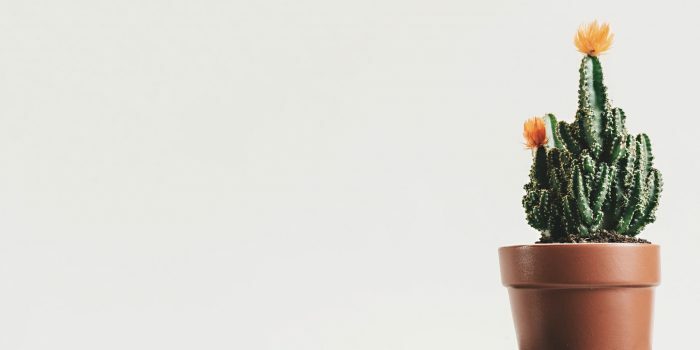 If you’re focusing on trying a new business model, there’s a lot of risks there, but as a really small company, if you use established ones, I think you’ll have a better chance of success. Joe Dager: Everybody talks about repeat clients, in any business. I’m sure there’s a core group of clients that support SSD Nodes. Do you think that’s a significant factor, that your existing clients are why you’re able to push out these longer plans? What’re some of the things that you hear from your repeat clients? Matt Connor: One of the main things is we offer really incredible servers at such a low price, and I think that resonates for so many people, especially if you’re an IT professional and you have a side project with some clients. They’re paying you a fixed amount. You’re going to be looking for something that’s reliable, that is the lowest cost possible, so you can keep more of the money and invest it in yourself. That’s why I think we retain so many people, is because we offer these at such a great price. You get really incredible resources, incredible support. Of course, there are always customers that come and go; maybe it’s not the best fit for them. Maybe they need to spin up thousands and thousands of servers and want to get billed per second for those, and there’s a solution out there that’s for them, but for the customers where we are the solution for them, they’re incredibly happy. I think that when you’re working on your business, you find what your customers love about you, and then you work on that and make that even better. In our case, customers really love the low pricing. We’re offering the 3-year plans at an incredibly significant discount. It’s scary for us, because we’re like, “These numbers are really gnarly.” If you can figure that out, then that will help a lot. Joe Dager: Well I think when people first that, they hear about pricing. The two things that pop into my mind that I’ll ask you about is: Where are these servers located? I mean, are they on a Tibetan mountain somewhere? Where are the servers? Matt Connor: I mean, if they were on mountains somewhere, we’d have to charge for that, because that would be incredibly expensive. No, these data centers are in Dallas, Seattle, New York, Montreal. 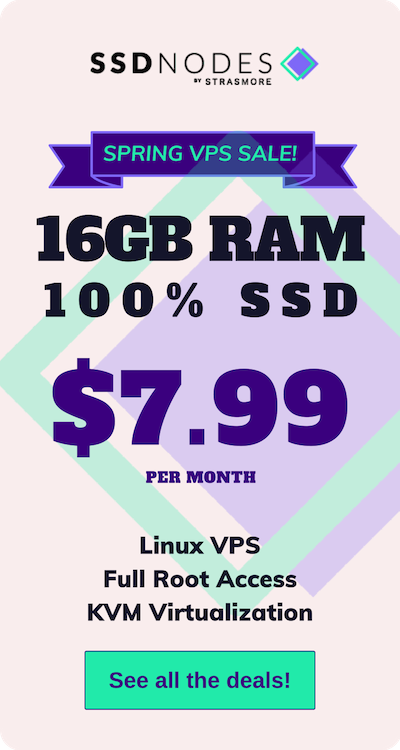 Dallas is the primary location, it’s the one where we got the price the lowest, and we buy the newest enterprise servers, stocked with the newest SSDs and the newest Intel processors, with incredible amounts of RAM. We stock them in our data centers and offer the servers out of there. Dallas is really the main one. I recommend them now because it’s right in the middle of the US, so if you’re serving US customers, you can get ideal latency across the country. Joe Dager: There is something to do with latency, it’s why people will buy a server in North America? Matt Connor: Latency is really important because your visitors want a fast experience. Now, you can hack around it by using Cloudflare in front of it to put your servers, your visitor traffic, closer to the user. I think that’s a good tool to use as well, but having closer servers in most cases, just because of the way latency works, means you’re going to have higher throughput from you to the server, and from the server to the customers, which is really really, really important. But depending on what you’re doing, in many cases, you don’t need the absolute best latency. You can use something like Cloudflare to get it closer, you can get servers on multiple locations if you really need that, but in most cases, one in the US is absolutely fine. Joe Dager: Your servers, are they really for the normal layman? Do you have to have a certain amount of expertise and background to have your own server? Matt Connor: Yes and no. I mean, there are so many tutorials. There are so many different control panels you can use that can abstract a lot of that away to make it as easy as point-and-click to get a step done. Of course, if you’re down in the command line, you get a lot more flexibility in what you can do, but there are also some pitfalls. You may forget to set a password here and there, and then your server may get compromised. There is a little bit of expertise; we’re trying to figure out ways to make that easier. We have a blog where we write a lot of really incredible tutorials on there, about many different ways to do different things. We have a security guide on there as well, which gives you a PDF that tells you the 6 steps to secure your server, which anybody, even people who are not using our services, should read. We regularly publish tutorials, and that helps a lot. Joe Dager: You started as a one-man band. What was it like hiring your first and second and others? What was it like when you started hiring people? Was there this big trust thing that you had? It’s pretty sensitive types of information you’re handling for people. Matt Connor: It’s really scary when you’re first starting out and then you’re hiring because you’re giving other people access. Of course, I think the best way to do it is to give a little bit at a time and build trust with these people—especially in really new roles—slowly give the keys to them, and see how they manage at that level, and then a little bit more, and a little bit more. And course-correction is needed, but it’s really scary in the beginning. You realize you have a lot less control than you thought. So, putting together a formalized structure, I think that’s really important. But it doesn’t have to be super formal. Our company is arguably flat right now, and I think that gives people latitude to do the things they need to get their jobs done. They have an accountability structure, but outside of that we don’t have a formalized management structure, besides me, and I think that really helps a lot with giving people the control and the accountability parts. You just need to make sure that everything is flowing smoothly. We have processes in place, and we have customers that are involved in that. We have feedback emails that go after tickets, so we can see how the customer felt that ticket was handled. 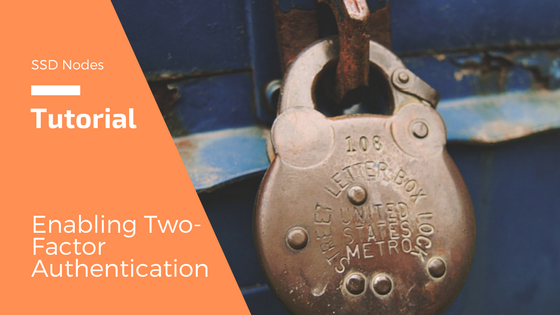 I think stuff like that is really important, but you can easily get locked down in process. I think we keep the company pretty lean—adding too much process would slow us down. I think we keep the company pretty lean—adding too much process would slow us down. Joe Dager: You’re scaling pretty quickly. I always remember that Mario Andretti said, “If you feel like you’re in control, you’re just not going fast enough,” or something. You have to be on edge, pushing the edge a little bit. Do you feel like that at times? Matt Connor: I think it’s really important to have a level of control in a lot of cases. I love the Netflix culture deck because they say it perfectly: it’s context, not control. It’s giving people a context to do their job, you aren’t telling them how to do it, not controlling them with the way they’re doing it. I think that’s really important, and those are kind of the examples I try to set, is framing the problems that we’re having, aligning the goals of where we need to be, where we are, that sort of thing. Then let people—because you hired, because you trust them—let them come up with the solutions, the things that are needed to get there. Joe Dager: Do you feel like sometimes you know the answer though, but you leave them run with it? I mean, how do you feel when that’s happening? Matt Connor: It’s part of the process of when we’re discussing what to do. If they’re saying something that I think we’ve already done then I’ll say, “Well, these are my warnings doing this thing,” and then just to add more information to it, not saying, “This is what you need to do.” But, this is my experience doing it, and this is the context during the time of when I did it, which might have been a couple years ago. It may be completely not applicable to what we’re doing now, because we’re in a very different space. We’d just say it then, not wait; there’s no need to wait, just say it as part of the conversation. Joe Dager: I want to throw you some action here. I want you to step outside your box a little bit and ask, how do you think competitors think of you in the industry? That outside-in perspective, how is the market looking in SSD Nodes? What do you think they see? Matt Connor: They’re probably wondering how we’re able to get the pricing so low. And how we’re still in business by doing that. I think that’s a valid question. That would be my guess, and I would just say significant engineering went into making all that work. Joe Dager: We talk a lot about pricing when talking about SSD Nodes, but that’s not the primary thing that I see customers talking about. They really talk about the personal support that they get. I think that’s what really surprised me. They don’t think they’re going in there and getting a bot. Is the bot that good? Are you really giving personal support? Matt Connor: Well, you know, we’ve been spending a lot of time working on AI… I’m just kidding. No, I mean, we lead on pricing, but then when people have questions, we do really well on support. It’s not just like you’re getting something low-priced and then we just don’t have any support for it. We actually give you really fantastic support. Joe Dager: I find that the most challenging for most young companies is the amount of time required for personal support. I know you’ve taken time, that you’ve directly answered people and that’s part of the support structure I think any successful startup does. I can remember at my kid’s football games talking and troubleshooting a control panel on some equipment or something, on the phone with someone. That’s part of creating and running a business. Was there ever a time in these seven years you were just like, “I’m just going to stay in bed today”? Matt Connor: I think it’s really important to take time to reflect and to relax and take some time to vacation because a lot of what happens with founders is that they are on call 24/7. They work on the business 24/7, and then you burn out. You’re just grinding so hard on this one thing, and you miss out on a lot of opportunities by doing that. So, being able to take time to reflect, having a hobby here and there, helps a lot. I would recommend stuff like that. There hasn’t really been a time where I was like, “Screw this, I’m out of here.” Never, because I committed to this and I want to prove everybody wrong that I can do it. Joe Dager: Was there certain milestones or hurdles that changed the way you did business? Matt Connor: There came the point where I needed to hire. It was scary, and I just wasn’t really sure about how to do it, about how to find the right people and that sort of thing. I just learned it by doing and just being really deliberate about how I was doing it. I expect the landscape is going to change and I think it’s really important to embrace that. The threats are really just not being able to move quickly enough. Joe Dager: What are the threats for SSD Nodes? Do you think it’s mostly competitors? Do you think things will change in the future? Matt Connor: I expect the landscape is going to change and I think it’s really important to embrace that. The threats are really just not being able to move quickly enough. I think when I was talking about the informal structure before. If you have a really formal structure, then there’s no room to move because everybody is used to just repeating the same process over and over, nobody is thinking for themselves. I think the biggest threat is complacency. Remember when we talked about being, “Are you a startup or not?” I think that still being in that startup mindset, that yes, we have this business model that works, but if something comes along that completely changes it, we just have to do it, because one, our customers are going to be asking us to do it and two, we need to serve our customers. So, that’s kind of the main threat. Joe Dager: Do you have a 7-year plan laid out there for the next seven? What’s in the future for Matt and SSD Nodes? Matt Connor: You can’t have a plan written down for seven years because it will be out of date in a year, but you can have a general idea of where you’re going, and you leave room in there for anything new that comes up, and that’s really important. We’re definitely going to be in business in seven more years, and seven after that, and keep running this thing forever. Joe Dager: What’s the best way to find out more about SSD Nodes? Matt Connor: ssdnodes.com, also our blog, which you can find at blog.ssdnodes.com. You can also find us on Twitter @ssdnodes. Joe Dager: Matt, I would like to offer you a sincere congratulations and wish you the best for the next seven, and even the years after.